﻿﻿ "smile, breathe and go slowly"
Basic breathing is meant to be comfortable, rhythmical, full and completed with awareness. The breath and breathing is a fundamental part of yoga, something that most people take for granted. With breath, comes life, it's automatic but for many of us this means poor breathing patterns, which effectively takes a toll on how we feel, including higher stress levels leading to lack of energy, low mood and sleepless nights. Through simple yogic breathing techniques, stress levels can be lowered and the rest follows. For the next minute focus on the big toe of your left foot. Think of nothing else for the whole time. Did you manage it or did your mind seem to have a mind of its own? Did your focus wander off after a few moments? Yoga trains the 'monkey mind' (thoughts flitting from one thing to another) by continually bringing your awareness back to your breath everytime time it wanders off. 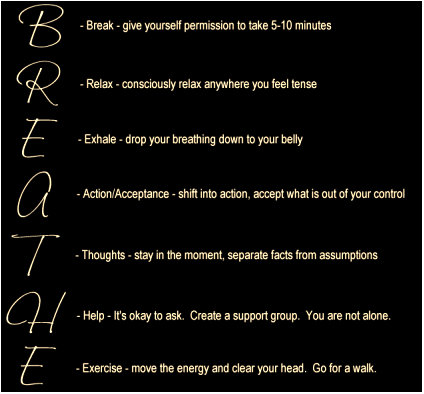 Exercises to encourage breath awareness - Looking at how we breathe, from where the breath begins to where it ends, frequency, depth and length of breath, where the breath is more noticeable, quality, texture and phrasing of the breath. 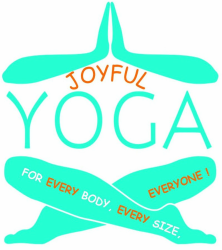 The Complete Yoga Breath - is a collective name for conscious breathing into the three areas of the chest, abdominals, mid chest, and upper chest seperately. Then the combination of the three breaths together into a comfortable, harmonious and rythmical full breath. Ujjayi Breathing (Victorious Breath) - The inhalation and exhalation are both done through the nose. It is practiced by exerting a little internal pressure at the bottom of the throat. The breath becomes audible sounding like "Darth Vada" and is created as air passes in and out. Both the inhalation and exhalation become longer and deeper significantly improving the ability to breathe more fully. The breath is your metronome!